My daddy was a preacher with that Bible-thumping, Southern Baptist fire deep in his bones. That early-Sunday-morning vigor gave him wings; he’d fly all over that pulpit and all through the church, crowing through the pews and hopping over laps, the Word dripping from his tongue. That man could jump three or four feet in the air, and by the time he made it back down, people were falling out and shouting. I’m not going to lie: my daddy’s hollering and screaming scared me. The way the congregants of the Church of God in Christ in Tulsa, Oklahoma, would jump in the rhythm and work themselves into a frenzy was confusing. Alarming. Addictive. I was about four years old when I said, “I want to do that.” My father happily obliged me, seeing as my oldest brother, Ronnie, and later my sister, Loretta, both gave up their position as the good pastor’s warm-up act when they turned twelve and got a little too much preteen angst to be bothered. I had no problems handling the gig. I took my cues from my father. “Oscar Wilson,” I’m told he replied. “Dave Wilson,” my father answered. “Boy, you Dave Wilson’s son?” another man asked. So when my father showed up talking about preaching, the townspeople, either impressed or out of fear, happily obliged him, strange as his intentions were. “Where you going to preach?” they asked him. They made my father a little platform and strung up some lights for him so that the people could see him. He preached to a few people on the first night and to double that number the second night, and bit by bit, hundreds and hundreds of people showed up to hear the boy preacher. He was answering God’s calling, and the people were getting saved. An evangelist, my father preached all around the country for most of his years on this here earth. I honed my stage presence and singing performances in the back room of my childhood home, in front of the mirror, where I would mimic my daddy and my mama’s church preaching and praise. When people see me whirling across the stage with all that infectious energy and ask me where I learned to perform, without hesitation, I give that credit to my father. When he was in the pulpit, Daddy would sing and shout all kinds of things, like, “Throw your hands in the air!” and “Say yeah!” while my mother was over there getting down on that piano, whipping him and the entire congregation into a frenzy. Those are move-the-crowd standards that I tend to shout out during my concerts, even today, but I’ve been working on and perfecting my high-energy stage exploits for a lifetime. It wasn’t a thing for my family to open the door and see four-year-old me wrapped in one of my mother’s robes, my father’s shoes flopping off of my tiny feet, flying through the air, landing in front of a mirror: “He’s a mind regulator and a mind fixer and a burden bearer!” I’d be shouting, jumping, twisting, squalling, rearing back, and playing the air piano, all at the same time. My parents would take a gander at the dramatics in that back room and just shake their heads. “Boy, we got our hands full with this one,” they’d say, laughing. Of course, because our house was deeply religious, it wasn’t strange to anyone that a four-year-old was preaching and jumping and shouting at his own reflection. It was expected. There were more dramatics on Sunday when I put my routine into action at the church. Dress code: blue gabardine suit jacket with matching shorts and bow tie. The song: “When They Ring the Golden Bells.” Nerves: nonexistent. There was no reason to be scared; we grew up in the church, quite literally, spending at least three days out of the week, sometimes more, learning both the Bible and how to be. At any point in time, you could be standing up in front of the entire Sunday school to recite Bible verses you learned in class, or playing a baby lamb in the Nativity play at Christmas, or spending the entire Saturday with your church friends and their parents, doing good works out in the community or dancing and playing at the congregation’s picnic. Being in front of one another, fellowshipping and growing, is what we kids did in the church, and everybody embraced you, no matter what you did or how you did it. Even if you couldn’t sing or you got a few of the words in that verse jumbled, everybody would get up on their feet and clap for you so that you knew you were loved, and when there is love, there is no guard—no wall. You show up, open your mouth, and sing. Of course, it helped, too, that my mother insisted we Wilson kids were the best singers. But really, everybody—the crooners and the croakers—could stand up in front of a microphone and be made to feel as if they’d turned the place out. There was nothing to get nervous about at all. Plus, when it came time for my solo, Mama had already practiced the song with me, and on top of that, I was on a mission: my father delivered a powerful sermon every Sunday and it was my job to make sure the spirit was high and everybody within range of the sound of my voice was in full-on shout mode. My voice may have been sweet and pure and the scab on my knee may have betrayed just how little and new I was, but that old soul deep in my bones had crept up through my center mass and into my throat and was waiting there like a revving race car at the starting line. My mom was sitting at the big upright piano, with my siblings and me standing off to the side of her. “It’s time to sing, baby,” she said, nodding at me. Let me tell you, when she put that microphone in my hand? I took off—headed straight for the pulpit, where the preachers and deacons were. And when I rounded that corner and saw my daddy, he stood up and then everybody else did, too, and I knew that was my cue. I went in. I started shouting and moved down the aisle as far as I could get with that microphone, jumping and throwing my leg up and my head all the way back. People were going crazy and shouting with joy, and by the time I finished, my dad got up humming, happy I’d warmed up the congregation, yes, but also proud that his son was hopping in his footsteps. My addiction to that energy, that power over an audience, extended beyond the church pews, right into the halls of Dunbar Elementary School. My brother and sister had already been through the school, so I walked in there with a serious rep. I was “Little Wilson,” the teacher’s pet. They had me singing on demand: the instructors would say, “Come here, Little Wilson. Let me see if you can sing this song.” I’d get the song’s key and dive in. The response they’d give was inevitably along the lines of, “Oh my gosh, what a beautiful voice,” whenever I sang. That much I could handle, but I wasn’t ready for what would happen once I shared my abilities with a bigger school audience. Indeed, I got the full brunt of people’s response to my singing at a talent show, when I was in the fourth grade. Someone taught me Tony Bennett’s signature song, “I Left My Heart in San Francisco,” and I sang it in front of an auditorium packed with my elementary school peers. As I sang, they began to scream and swoon as if I were Frankie Valli. And when those last words crossed my lips—“Your golden sun will shine for me”—those girls came running toward me full-speed, screaming and waving their hands in the air. A good eighty to one hundred of them. I still had my arm in the air and my eyes closed, dragging out that last note, when I heard the stampede. It scared me so much I took off running! With the entire elementary school of girls chasing me, I scrambled off the stage and down the hallways, searching desperately for an escape; I pushed through the first door I could find, not sure what to do or how to survive a gaggle of screaming fourth-, fifth-, and sixth-grade little girls. Big mistake. I didn’t realize what the room was until I saw the stalls: the girls’ bathroom. I was trapped. Shaking, I almost peed my pants when a teacher pulled me out of there and rushed me into another room. “You all right, Charles?” the teacher asked, brushing off my clothes and putting her hands on my shoulders to steady me. Breathing hard, I held back the tears, completely traumatized. That teacher pulled me into the teachers’ lounge, away from the grabby hands and shrieks of my peers, tucked away safe until, finally, my mother got there. When she walked into the room, I could tell she was trying her hardest to suppress her laughter. “Your little heart is beating so fast,” she said between stifled giggles. That had never happened to me before. Once I recovered, I realized I liked it. A lot. From then on, anytime anything needed to be sung at the school, I was the chosen one. And I was always ready for the reaction. I was pretty all right with the girls chasing me after that; the sixth graders wanted to kiss me all the time. I craved that excitement and would look for it anywhere I could—on the stage, and later, in everything from my relationships, to my career, to even my addictions. I understood instinctively, even at age six, that the sound of the crowd is life. 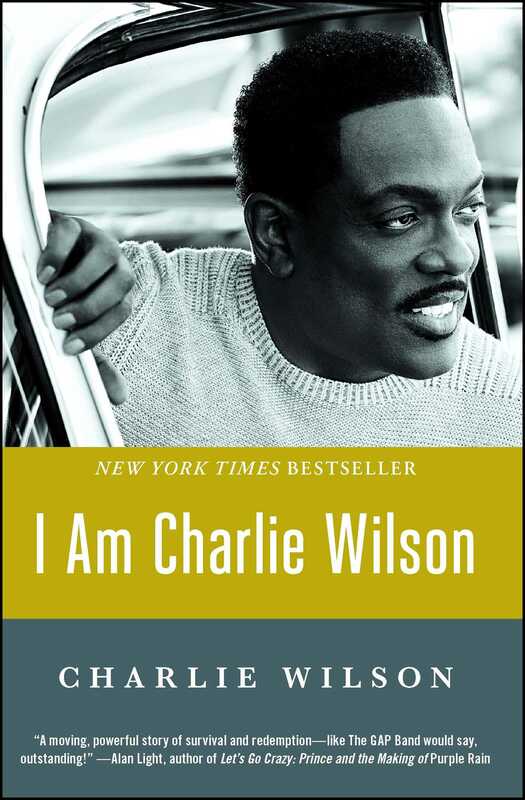 Charlie Wilson is an American R&B/soul music legend who has been nominated for seven Grammy Awards, including Best R&B Album for “Uncle Charlie” and Best Male R&B Vocal Performance for “There Goes My Baby.” Sober for nineteen years, Wilson signed with Jive in 2004 after landing his first No. 1 Billboard Urban AC hit in 2000, “Without You.” Wilson averages seventy-five to one hundred shows a year between concert tours, festivals, and private events, while also devoting his time to charity work as a spokesperson for the Prostate Cancer Foundation. He lives in Los Angeles with his wife. I can still remember first hearing the music of Uncle Charlie and The GAP Band as a kid in Long Beach, California. When I started taking my rapping seriously, he was someone that I always wanted to work with. I was lucky enough to make that happen when he got down with me on my album Tha Doggfather. It's been nearly two decades since that record dropped and Charlie and I have been family the whole time. We've made hit records together, rocked the Live 8 stage, and I even got to honor him at the BET Awards when he got the Lifetime Achievement Award. He's been an inspiration, mentor and a big role model to me as a father and a husband. He taught me how to love my wife and kids first and my career after. He’s been there for me when I needed him the most and I hope I have been the same to him and his lovely wife and son Michael “Pesci” Paran. We are family. He’s my uncle by love not by blood. First name Charlie last name Wilson. Wilson's engaging story frames the excess of a life in pop-culture music while illustrating the way that faith, love, [and] determination can overcome even major obstacles. A moving, powerful story of survival and redemption—like The Gap Band would say, outstanding!